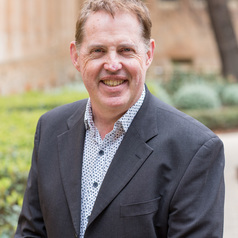 Andrew Stewart is the John Bray Professor of Law at the University of Adelaide, and a consultant to the law firm Piper Alderman. He is one of Australia’s leading experts in employment law and workplace relations, but he also has expertise in the areas of contract law and intellectual property. His most recent books include new editions of Creighton and Stewart’s Labour Law, Stewart’s Guide to Employment Law and Intellectual Property in Australia, as well as Cooperation at Work: How Tribunals Can Help Transform Workplaces. He is part of several teams awarded Australian Research Council funding, including Discovery Grants to examine the regulation of work experience and the organisation of work through digital platforms. Besides working with Piper Alderman, Andrew has provided expert advice to the International Labour Organisation, to federal and State governments in Australia and to a wide range of other organisations. His recent work has included major reports commissioned by the Fair Work Ombudsman, the Department of Employment and the International Labour Organisation on unpaid internships, and by the Fair Work Commission on equal remuneration claims. Andrew is a Fellow of the Australian Academy of Law, an editor of the Australian Journal of Labour Law and co-director of the Adelaide Law School’s research group on Work and Employment Regulation.